I have been researching anti-doping in sport recently. In September the World Anti-Doping Agency (WADA) published its 2012 List of Prohibited Substances. In October the Australian Sports Anti-Doping Agency (ASADA) published its 2010-2011 annual results. 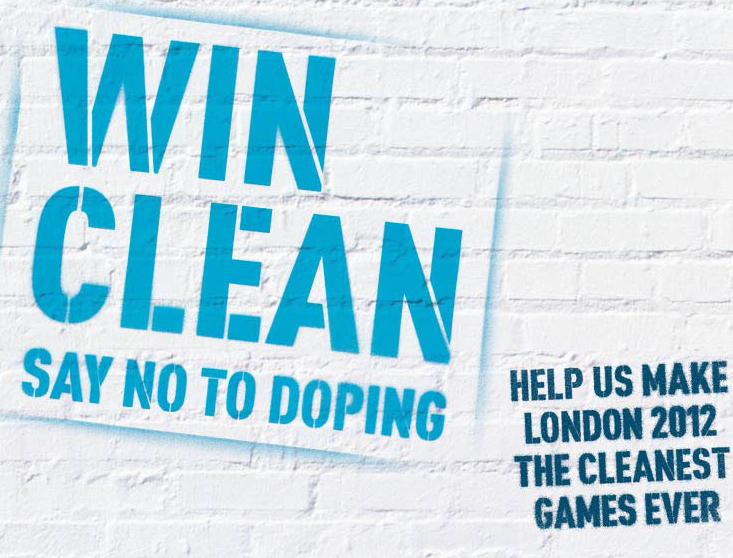 The Win Clean: Say No To Doping campaign for the London Olympics was launched in October too. The launch took place in a week when there was active discussion of a Court of Arbitration for Sport decision that the International Olympic Committee’s Rule 45 that bans athletes suspended for doping for six months or more from competing at the Olympics was “invalid and unenforceable”. We now have a situation where drugs cheats will be able to compete in London 2012. We must decide: is the outcome we want a watered-down, increasingly toothless gesture towards zero tolerance? On the first, one of the reasons we shy away from lifetime bans for professionals, is because of their right to earn a living. Whilst the regulatory and disciplinary process can temporarily deprive them of this there remains a possibility of remediation and a return to the profession in which they (and we) have invested. At a recent conference we discussed sports bans and noted that even a short (2 year) ban for an athlete such as a young gymnast could in reality be a “lifetime” ban for the time they would be at the top of their sport. Whether athletes could argue such bans deprive them of a right to earn a living is separate discussion and has its own case law. The second point considers the purpose of sanctions. In professional regulation we regulate to “protect the public”, to “maintain and uphold standards” and to ensure “trust and confidence”. Regulatory sanctions are aimed at this, and any punitive effect is acknowledged to be a by-product. It seems the language of the BOA is about punishment for cheats but when you focus on punishing there is a risk of disproportionate and inflexible sanctions. The sports’ bodies need to be clear about their intentions. It seems to me there is scope for bans which potentially last a lifetime but with the option of restoration (not overturning the ban but reviewing it after a minimum period of time). Such a model can maintain integrity and reputation in sport and keep out, for an appropriate period, those deemed unsuitable to compete. This debate in encouraging me to contemplate whether integrity and reputation are absolute or relative constructs. The Court of Arbitration for Sport (CAS) will hold a hearing on 12 March 2012 to consider the British Olympic Association’s (BOA) bylaw for lifetime bans for drugs cheats. A verdict will be announced in April. The BOA lodged an appeal in December 2011. The Court of Arbitration for Sport (CAS) has registered the appeal filed by the British Olympic Association (BOA), against the decision by the World Anti-Doping Agency (WADA) to declare the BOA’s selection policy addressing athlete eligibility standards for Team GB to be non-compliant with the World Anti-Doping Code. The appellant BOA requests that the WADA decision be overturned. The case will be handled in accordance with the procedural rules set out in the Code of Sports-related Arbitration. The parties will first exchange written submissions and will then be heard at a hearing, the date of which will be fixed in 2012. A final ruling is expected in April 2012.